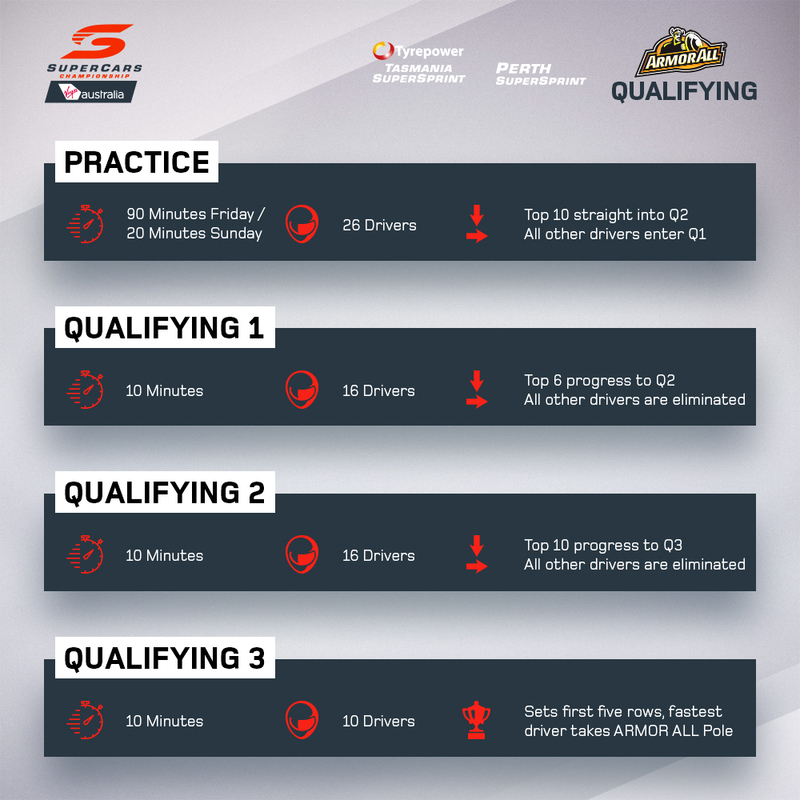 Five-time Supercars champion Mark Skaife believes the new qualifying format being introduced at Symmons Plains will turn Friday practice into a ‘genuine form guide’. This weekend’s Tyrepower Tasmania SuperSprint and next month’s Perth SuperSprint will feature three-stage AMROR ALL Qualifying sessions. Taking a cue from MotoGP, practice results will give the fastest 10 drivers the opportunity to skip the first phase. Friday’s combined order determines who heads straight into Q2 on Saturday, while the result of Sunday's Practice 4 decides who will skip Q1 for that afternoon's qualifying session. Supercars Hall of Famer Skaife says the greater significance placed on Friday’s pair of 45-minute sessions will give a clearer indication of the weekend ahead. “I love the idea of Friday being serious,” he said on Fox Sports' Supercars Trackside. “It’s a genuine form guide. “We’ll have people genuinely qualifying for the weekend on Friday afternoon. Joining Skaife on the program, fellow Bathurst winners Russell Ingall and Greg Murphy also backed the new format. Ingall branded it “great”, while Murphy agreed with Skaife’s assessment on the impact it will have on Friday’s running at the 2.4km circuits. The new format follows quick-fire, 10-minute sessions that set the grid for the Coates Hire Supercars Melbourne 400 a fortnight ago. “It’s absolutely brilliant,” Murphy said of the knock-out system. “It puts the pressure on all the way through the weekend, no question about it. “Friday means something now. We come away from Fridays a lot of the time, some drivers put tyres on, some don’t, so we don’t really know what’s happening the next day, but now it becomes so critical. A team owner and Supercars Board and Commission member, Brad Jones believes there will be “a pretty smooth transition right through the different elements of qualifying”, each split by five minutes. “I think it’ll be a lot better,” he told Supercars.com. The format has been introduced to help avoid traffic-related incidents on the two shortest tracks on the calendar. Rather than the full field of 26 drivers venturing out at the same time, the three segments will have 16, 16 and then 10 participants. “It’s going to make, hopefully, qualifying a little bit easier, having a few less cars on the track,” Coulthard said. “That’s been one big thing in the past, it’s been quite difficult to deal with, all of the traffic. Tyre strategy will also play a part with the new format, with teams able to use their Friday hand-back set to record a fast time in Practice 1 or 2. However, they will likely have to delve into their race bank during the Sunday practice session to have a chance of making it into the top 10 and skipping Q1 for the weekend's second race. "It depends how badly they want to get in that first group," said Jones when asked of the role tyre strategy will play with the format. Will it change the order? 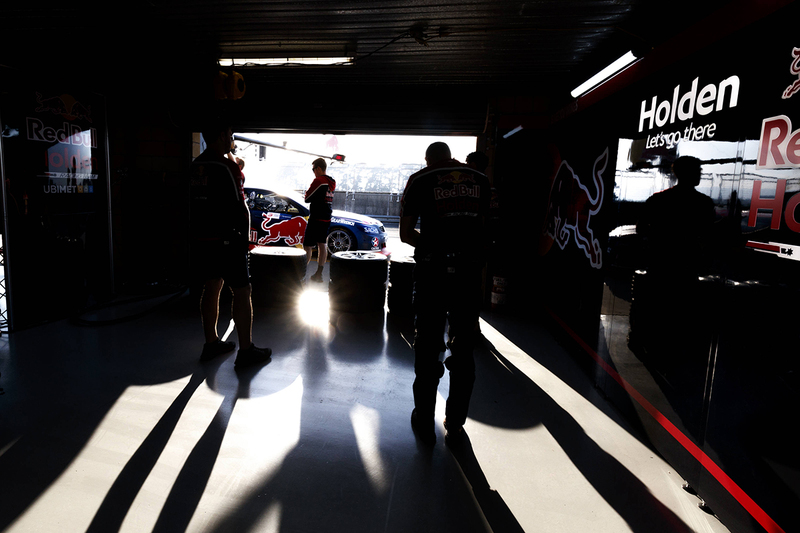 Walkinshaw Andretti United’s James Courtney and Tickford Racing’s Cameron Waters are split on whether it will have any impact on the grids for the 50- and 84-lap races. Courtney suggested “the new format will mix things up,” while Waters believes the usual suspects will rise to the top. “It probably puts more emphasis on rolling out a strong car from the start, because practice will mean more,” he said. “But I think it’ll be the same old thing, the quick guys and quick cars will end up at the top anyway, it just gives another element to it.